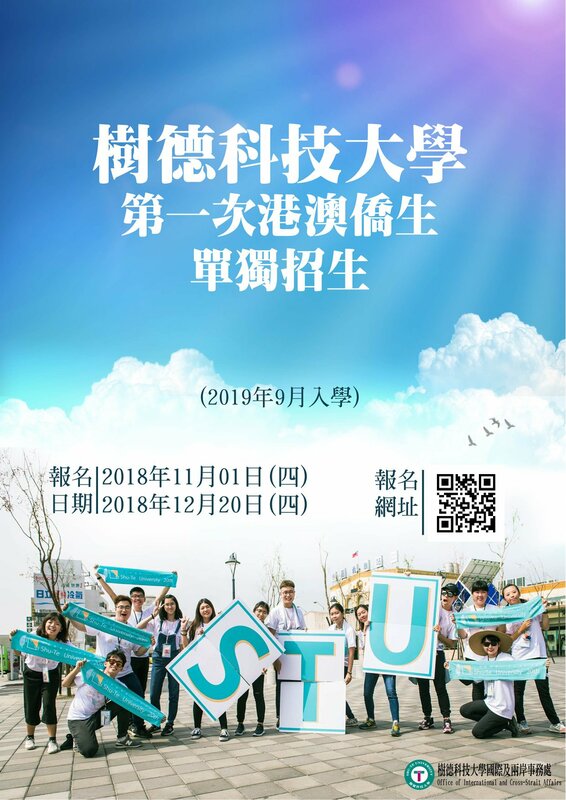 Shu-Te University’s Overseas Chinese students (of Chinese descent), Hong Konger students, and Macanese students are mostly recruited through “University Entrance Committee for Overseas Chinese Students”. This organization provides the “one application, many choices” path of enrollment, allowing easy access to education in Taiwan. Just by registering to this website, one can apply to up to 70 choices for higher education, applicants will be directed to colleges according to applicant choice and grades; in addition, since 2012, there have been more channels of application than ever. Applicants only need to turn in registration forms, fill in three top choices, and will be directed to schools that find their academic backgrounds satisfactory. If “Personal Applications” are not accepted, then there is still the “Joint Placement” option of application, near-guaranteeing your success in coming to Taiwan to study. In addition, Shu-Te University offers Chinese students (including those from Hong Kong and Macau) to apply directly.